Being able to stay at home for your children and still be able to earn an income is possibly the best-case scenario for most families. However, it's not all sunshine and daisies when you're working at home. 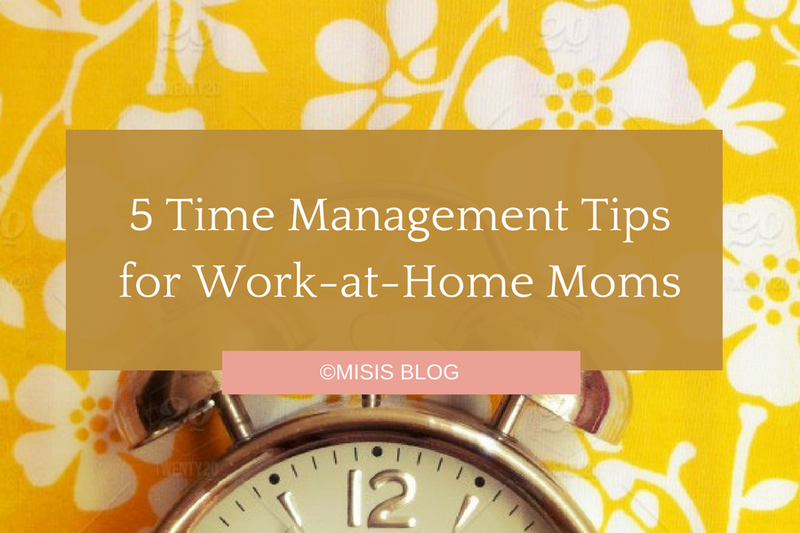 You will always be on a time crunch with all the stuff you have to do: taking care of your kids, doing housework and cooking, and working on your homebased job. While most WAHMs are at their wit's end almost every day, it's not entirely impossible to be on top of things, or even just be able to go through the day without missing a single task. All it takes is effective time management. Have some structure and routine at home. Set a schedule for all the tasks you have to do every day, and most importantly, stick to it. While younger children won't be able to grasp the idea of a schedule, it will surprise you that babies in particular thrive well with routine. It's also essential to communicate this schedule to every member of the household and enforce it whenever possible. If possible, cluster similar tasks on a certain period during the day. For example, you can do all the cooking (breakfast and lunch), washing the clothes, and cleaning the house during the morning before everyone is up, and then you can have most of the day for work and childcare. Every day, make it a point to jot down all the things you need to do for the day. Divide this into "For Work" and "For Home," and prioritize accordingly. Further chunk down your tasks to "Urgent," "Can wait," and "Not important." Better to have your to-do list on paper—it's far more satisfying to tick off items on a written list than on digital ones. Do not be tempted to answer every work-related email and call that comes through. Set a schedule for when you will be entertaining emails and calls, and most importantly, communicate this schedule to your co-workers and your boss. Decent employers will definitely respect your right to privacy and work-life balance. When it's time for you to work, put your cellphone on silent mode and resist the temptation to check Facebook and other non-work-related websites. Focus on the task at hand for better efficiency. Of course, there's an exemption if the distraction comes in the form of a mini version of you (and by all means, do not ignore your child).